At Kotzia Square, in the historical center of the city and one of Athens’ most multicultural neighborhoods. On the “street of miracles” or “the garden of the people,” as Athinas Street was once called, beside City Hall, you’ll find Pallas Athena Boutique Hotel. Its emblem is a pop version of the goddess Athena, after which the hotel is named. 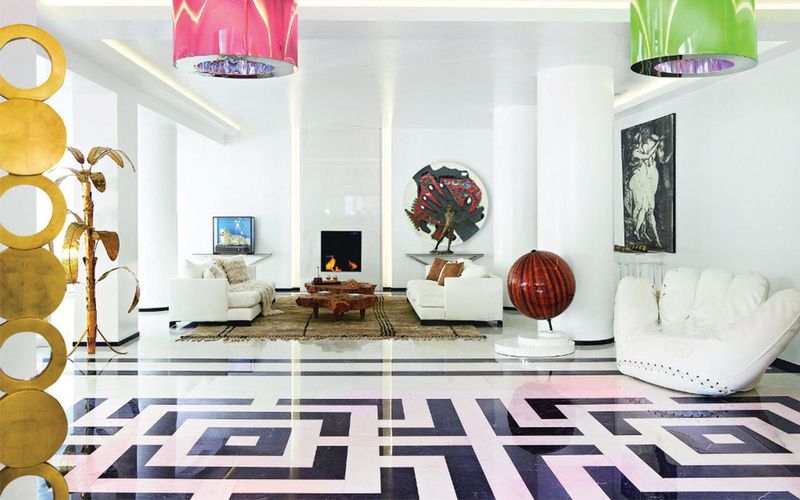 The fact that a five-star hotel is located in a gritty downtown neighborhood may pose a creative paradox but it has to do with its owner’s wish to give an art & chic aesthetic to such a lively and multicultural part of Athens. The first impression is that of a luxurious city residence: sunny terraces, rare art signed by designers and avant-garde artists, and graffiti on its walls. Among its sophisticated clientele are people seeking a modern style, innovation and, of course, good taste. An ideal venue to relax in the comfort of good company and great food on the first floor. 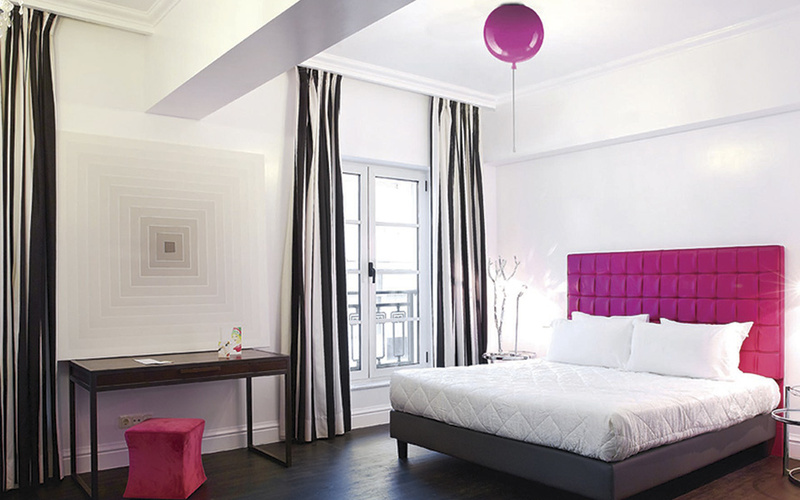 Its strategic location inside the commercial center, near the Acropolis and the city’s most important museums, Plaka, picturesque Thisseio, upscale Kolonaki, bustling Monastiraki and the heart of the Athenian alternative nightlife, Psyrri and Aghia Irinis Square, makes it the ideal choice for every visitor. Its 63 rooms are filled with natural light and comprise an ideal urban sanctuary for those seeking intimate accommodation with luxury amenities in the city center. 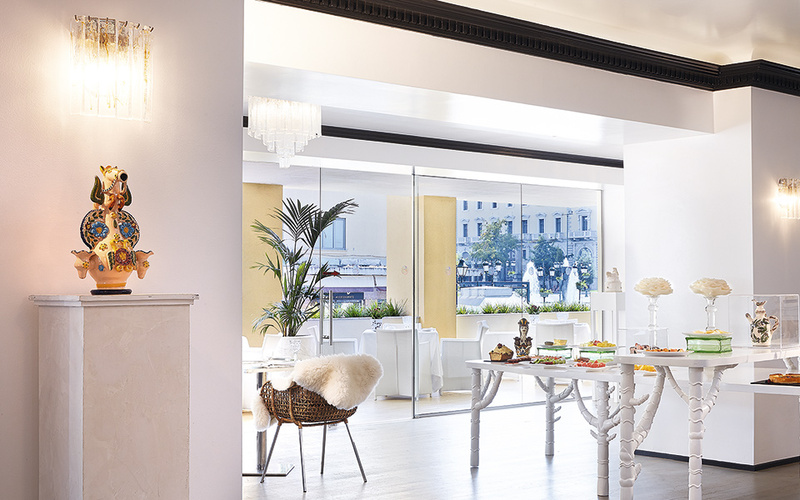 On the top floor, the stunning Loft Suites give the quintessential ambience of a privileged Athenian apartment. Meeting rooms with a capacity of 20 people. Banquet hall that hosts wedding receptions tailored to the tastes and needs of the couple in an arty, alternative setting. Ideal for civil weddings as City Hall is practically next door. With its bespoke hand-crafted furniture and stunning colour palette, the guestrooms are the ideal location for a downtown getaway in Athens. On the first floor, in a space that resembles a small art gallery as it hosts and regularly renews works of art by well-known and up-and-coming artists, you can enjoy Mediterranean dishes. Kotzia Square, lit up at night, is the perfect backdrop for tasting one of the innovative cocktails at the bar, accompanied by a variety of cheeses and cold meat platters. 65 Athinas & Lycourgou, Kotzia Sq.